Play for your share of millions in guaranteed prize pools in the upcoming online poker tournament series on PartyPoker, TitanPoker and 888Poker. The PartyPoker Pokerfest Championship starts this Sunday, 19th October and runs until 2nd November with more than $2 million spread across 76 tournaments of different stake levels. Next up is the iPoker Online Poker Series VII on Titan Poker which runs from 20th October - 9th November with a million euros guaranteed in fifteen events. Last but not least is the Super XL Series 2014 on 888 Poker, the $3 million guaranteed online poker tournament series this December. 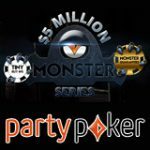 Poker players that enjoy playing tournaments will be kept entertained for the remainder of 2014 with three must-play online poker tournament series scheduled on Party Poker, Titan Poker and 888 Poker. There is still plenty of time to qualify for your seat to these events by qualifying through one of the many daily satellite tournaments on offer through these online poker sites. The Pokerfest Championship Party Poker series offers a wide range of daily guaranteed tournaments with buy-ins available at three different stake levels. See the PartyPoker Pokerfest Championship Schedule for more information on the seventy-six events in the series which take place from 19th October - 2nd November, 2014. 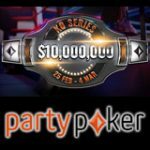 Play for more than $2 million in prize pools in this online poker tournament series on PartyPoker. The iPOPS VII returns to the iPoker Network sites with a million euros guaranteed tournament series between 20th October - 9th November 2014. The series is split into two different stake levels with medium-stakes tournaments run daily from 20-26 October and high-stakes tournaments from 2-9 November 2014. 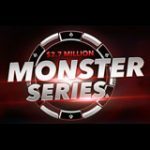 See the full iPOPS VII tournament series schedule for details on the online poker tournament series on TitanPoker and WinnerPoker. Players can qualify through satellite tournaments or make a deposit for tokens to the iPOPS VII freeroll to win tournament tokens for the series. 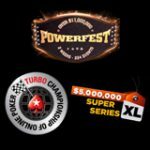 The Super XL series schedule 2014 has not yet been released, the only information available is that the online poker tournament series will offer more than $3 million in guaranteed prize pools. 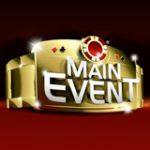 The 888 Poker Super XL Main Event offers a million guarantee and qualifying tournaments are already available for the Main Event on the 7th December. 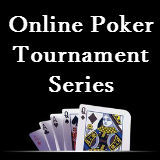 Players can start qualifying from as little as 1¢, in the six step tournament structure which leads to the Main Event. 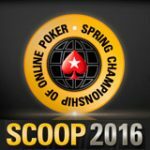 Register for the Super XL Main Event in the 888poker lobby by clicking on Tournaments->Super XL. More information on the Super XL 2014 to be released soon.